Canadian teen Ebony Oshunrinde, who aptly goes by the moniker WondaGirl in the studio, has just finished the 11th grade. She's also just been credited as a producer on "Crown," a track on Jay-Z's new album "Magna Carta Holy Grail." Her story is insanely inspiring and impressive: after watching a video of Jay-Z and Timbaland working in the studio together at age 9, she began to download music software and teach herself how to use it by watching YouTube tutorials. "I wanted to do the exact same thing that [Jay-Z] did," she recently told the Star. When she was 14, she made it to the quarter-finals of Toronto's Battle of the Beatmakers. (FOURTEEN. I didn't even know how to make a grilled cheese when I was 14.) She won the title the following year, because she is incredible, and went on to sign an exclusive management deal with Black Box. According to Ian Stanger, a representative with Black Box, "It’s amazing to see somebody with that much talent working as hard as she can to make the most of it at such a young age. It’s her work that people should be paying attention to, not the fact that’s she 16." And her work is exactly what people have started to pay attention to. 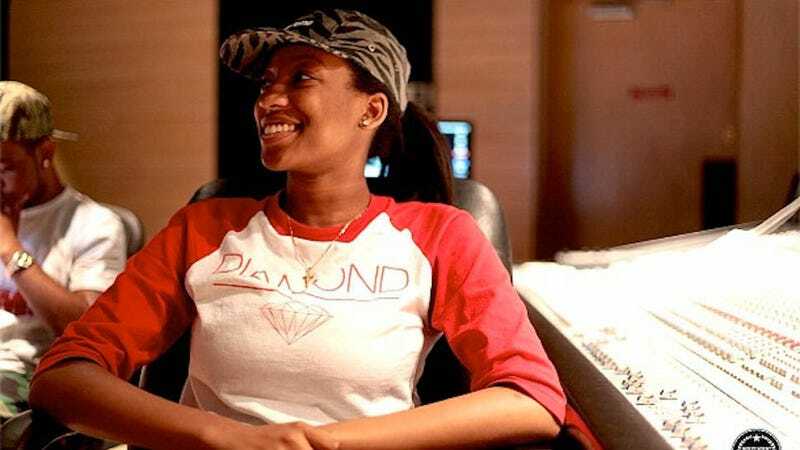 Earlier this year, Oshunrinde sent the beat to her friend Travis Scott, a young rapper and producer. He happened to be in the studio with Jay-Z when he received it — and when he told her that the cut had made it to the album, she thought he was joking. "Usually that kind of thing doesn't happen to 16-year-olds," she explains. No, Ebony, it usually does not.